Today I am showing you all our family/tv room. In this room I added those "pops of color" everyone talks about. I am not a big fan of pops of color as I find it distracting most of the time, but I really, really love it in fall. I only add color to our home for fall and Christmas. Aside from that, I keep things pretty neutral around here. Burnt orange is my go-to color for fall. I like very traditional colors for seasons and holidays. I use most of my usual decor and change out things like the pillow covers, blankets, wreaths, and vase and candle fillers. 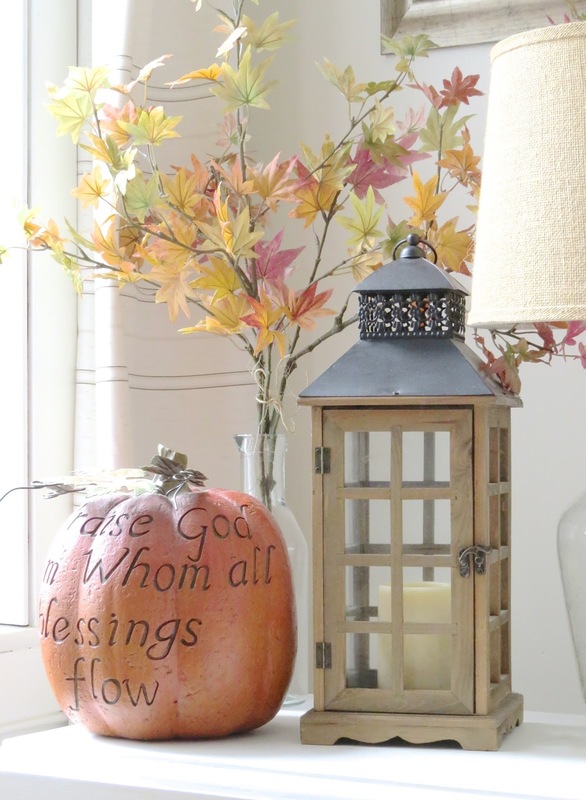 This fall decor will stick around from early September until Thanksgiving. 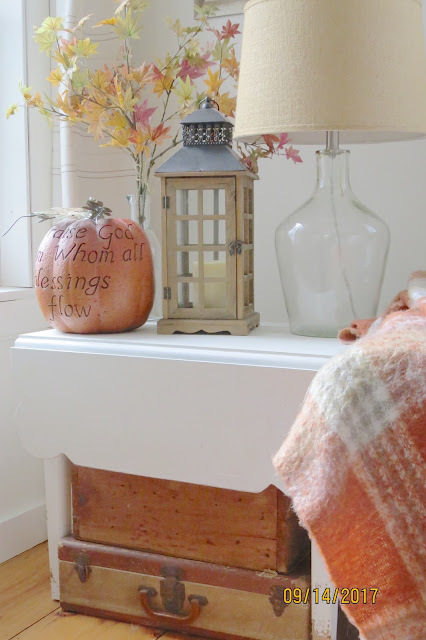 While I love decorating for Christmas, I am always sad to pack away the fall colors. Its perfect! So beautiful in your rooms! Thank you so much Deanna! Love the new way you have arranged your blog list on a separate page! I find lots to read there! Simply lovely...subdued, muted colors. Do autumn leaves in their brilliance jar you? Is your landscaping also subdued? It's funny Vee, the outside of my home is as bright as can be. Lots of "hot" colors like red, yellow, and purple. The complete opposite of the inside. That way, I get to enjoy both! Aw thanks Deb! I really miss seeing you at school! I just found you--blog hopping around somehow. I grew up in two schoolhouses that were "married" to make one larger home. Then my father added an addition on the side when I was about 10 or 11. Sadly, the house burned to the ground a few years ago--but Oh--the memories!